From left, PTK President Raquel Balderas, Honors in Action Project Chair Michelle McNamana and College Project Chair Kristin LaValle. Research into the academic struggles of local students led members of the College of the Mainland Phi Theta Kappa Honor Society to bring science education to life at Crosby Middle School. “We brought in nurses, a biochemist and others to give students tactile lessons in science. The COM PTEC Club president brought a cake mix and talked about how baking is a chemical process,” said Michelle McNamana, Honors in Action Project chair. COM students also created a website, www.stempowered.weebly.com, with videos and an “ask the experts” page for students and their families. After Crosby students created videos explaining what science is to them, the honor society will award the top three students scholarships for school supplies or other needs. 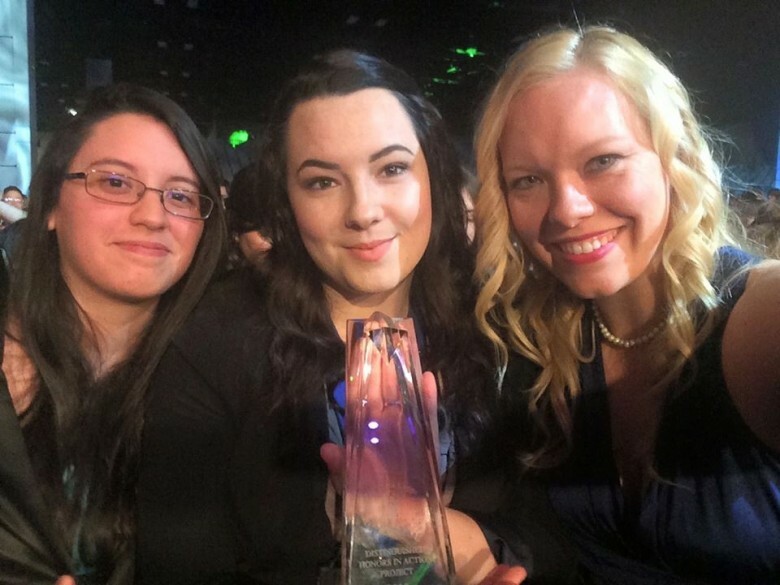 For their project, the COM Phi Theta Kappa (PTK) chapter was awarded the Distinguished Honors in Action Project Award, making it in the top 26 Phi Theta Kappa projects around the world. Excelling in service and community involvement, COM’s chapter of PTK, the international community college honor society, was also named one of top 34 chapters in the world. COM’s PTK chapter again received the Five Star Chapter Award, the PTK designation of the highest level of excellence. Advisor Dr. Heather Brasher won the Horizon Award after nomination by regional officers. “We are humbled by our students’ hard work and dedication to serving as leaders and community ambassadors for both COM and Phi Theta Kappa,” said Brasher. The Phi Theta Kappa Honor Society, headquartered in Jackson, Mississippi, is the largest honor society in higher education with 1,285 chapters on college campuses in all 50 of the United States, plus Canada, Germany and other nations. More than three million students have been inducted since its founding in 1918, with approximately 134,000 students inducted annually. For more information on the COM Phi Theta Kappa Chapter contact Brasher at hbrasher@com.edu or Serda at dserda@com.edu.